Raising the next generation is a shared responsibility. When families, communities and schools work together, students are more successful and the entire community benefits. Parents, families, and other caring adults provide the primary educational environment for children; parents are a child’s first teacher, and the home is a child’s first school. While the school and the home may operate independently, individuals and activities in each arena shape the education and development of the child. First, family engagement is a shared responsibility in which school and other community agencies and organizations are committed to reaching out to engage families in meaningful ways and in which families are committed to actively supporting their children's learning and development. Second, family engagement is continuous across a child's life and entails enduring commitment but changing parent roles as children mature into young adulthood. Third, effective family engagement cuts across and reinforces learning in the multiple settings where children learn-at home, in prekindergarten programs, in school, in afterschool and summer programs, in faith-based institutions, and in the community. 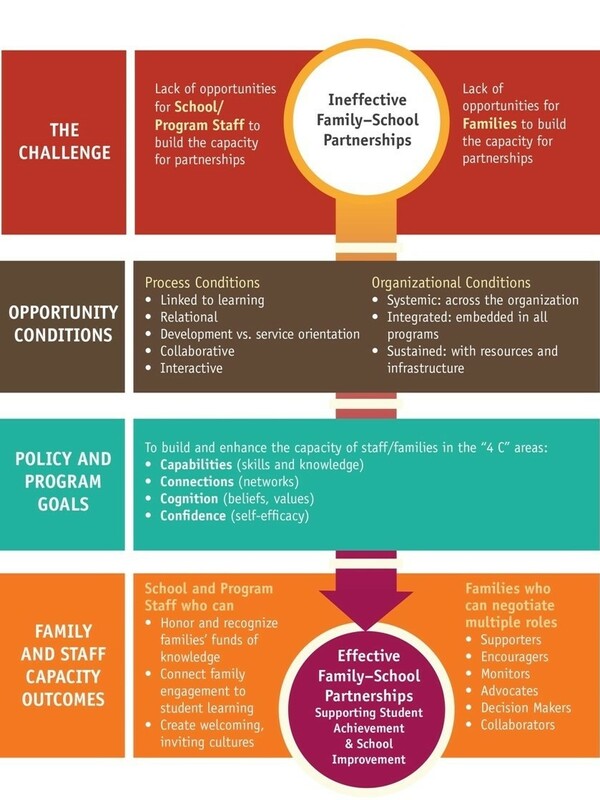 VCOE's Family Engagement program is informed by the Harvard Graduate School of Education's work and research, and the attendance of the LSS Director at Harvard's Family Engagement in Education: Creating Effective Home and School Partnerships for Student Success Institute. The program offers support and guidance to districts desiring to improve their school-home-community partnerships for the benefit of student achievement. The program is also guided by the California Department of Education's Family Engagement Framework: A Tool for California School Districts. The goal of the program is to build greater support and capacity in schools, homes and communities, so ALL students have a chance to succeed. Together we can be more effective.